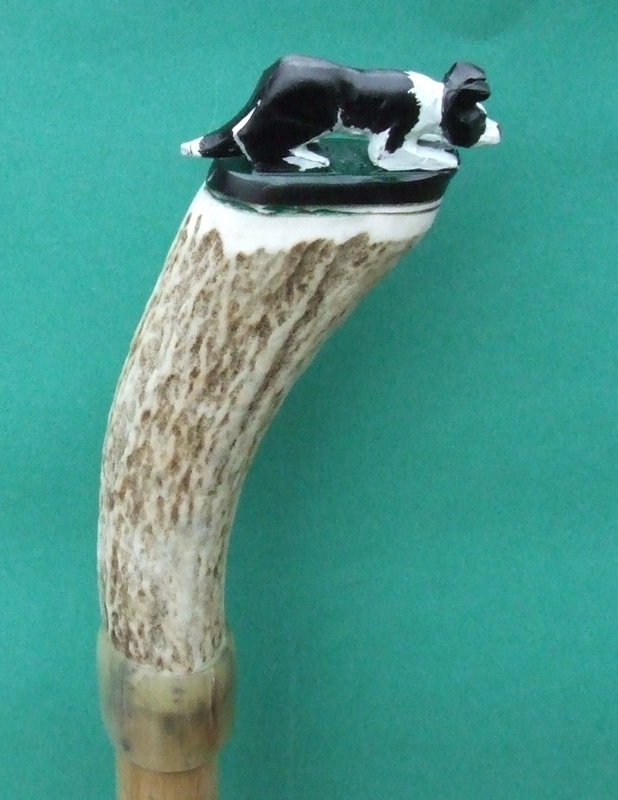 Antler walking pole with carved buffalo horn border collie dog. 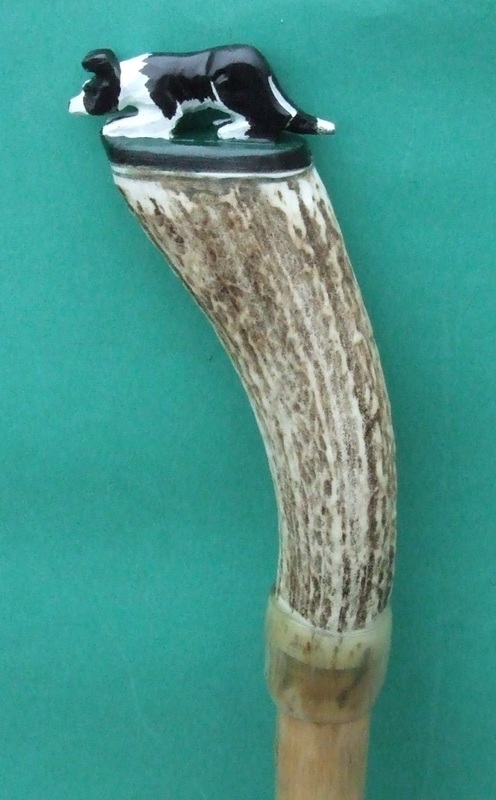 Antler handle with a rams horn collar at the joint of antle and Chestnut stick/shank. Finished off with a solid brass ferrule to protect the stick end. Total length from brass ferrule to top of carved dog equals 53 inches.